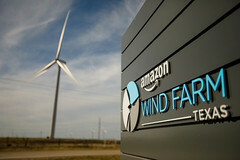 The Wind Farm Texas is Amazon's largest such project to date and can provide over 1,000,000 MWh of clean energy yearly. Amazon has no less than 18 wind and solar projects in the US so far and plans to complete 35 more in the future. While everyone knows Amazon for its online services and its hardware products, this tech giant is also busy generating clean energy. Last week, the company's 18th clean power project became operational. 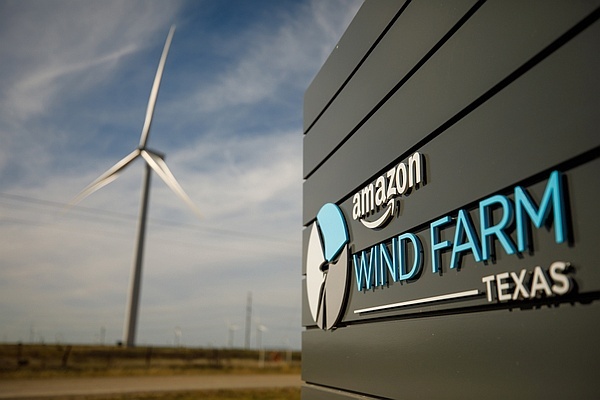 Known as the Amazon Wind Farm Texas, this project will be followed by 35 more, reveals Amazon in the official press release. Amazon's largest wind farm so far, this project can deliver over 1,000,000 MWh of energy each year. The Wind Farm Texas consists of more than 100 turbines, each with more than twice the wingspan of a Boeing 787 airlines and over 300 feet tall. The opening of the Amazon Wind Farm Texas involved the company's CEO Jeff Bezos, who christened the project from atop one of the massive wind turbines. In the long run, Amazon plans to power its global infrastructure using only renewable energy. After the completion of the upcoming 35 wind and solar projects mentioned earlier, Amazon will be able to generate enough electricity to power 330,000 homes each year. Amazon's care for the environment does not stop here since the company's Frustration-Free Packaging programs eliminated no less than 55,000 tons of packaging last year. At last, we should also highlight that the Amazon HQ in Seattle heats more than 3 million square feet of office space using recycled heat from a non-Amazon data center nearby.